Do you operate a retail business, a busy beer garden, a trendy café, or another brick and mortar store? Maybe you just look at your home décor and can’t help but think that something is missing. 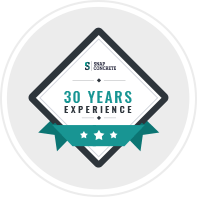 At Snap concrete, our team of experts have been designing, manufacturing and installing concrete furniture in Frankston for more than 30 years. You can rely on our experts for individually designed, hand crafted, and seamlessly installed concrete tables and concrete furniture. 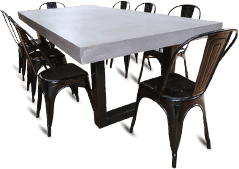 Working throughout Melbourne and its suburbs, we are the team you can trust to install concrete tables in Frankston or design and create the centrepiece furniture for your restaurant. Looking beyond our custom concrete designs, we also specialise in luxurious sold oak furniture options, as well as professional installations. With delivery options across the country, we can provide you with concrete furniture in Frankston, Paramatta, Brisbane, Perth, and beyond. 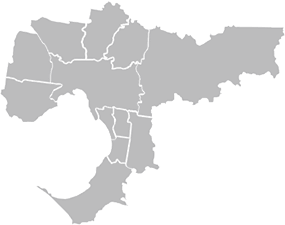 View our complete range of services and products for Frankston below or get in touch with our team for immediate assistance. Phone Snap Concrete on 0450 535 075 for inspiration and advice. 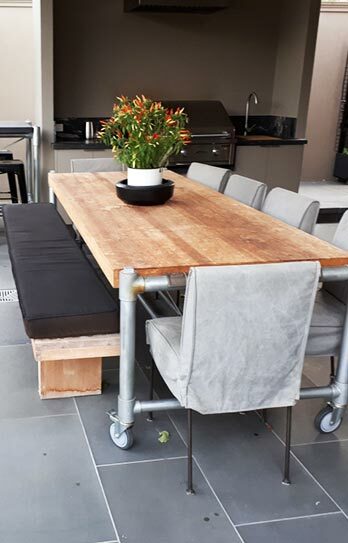 Whether you’re looking for one perfect piece of polished furniture or a complete outdoor kitchen set, featuring a barbeque and a dining table, Snap Concrete is on the case. 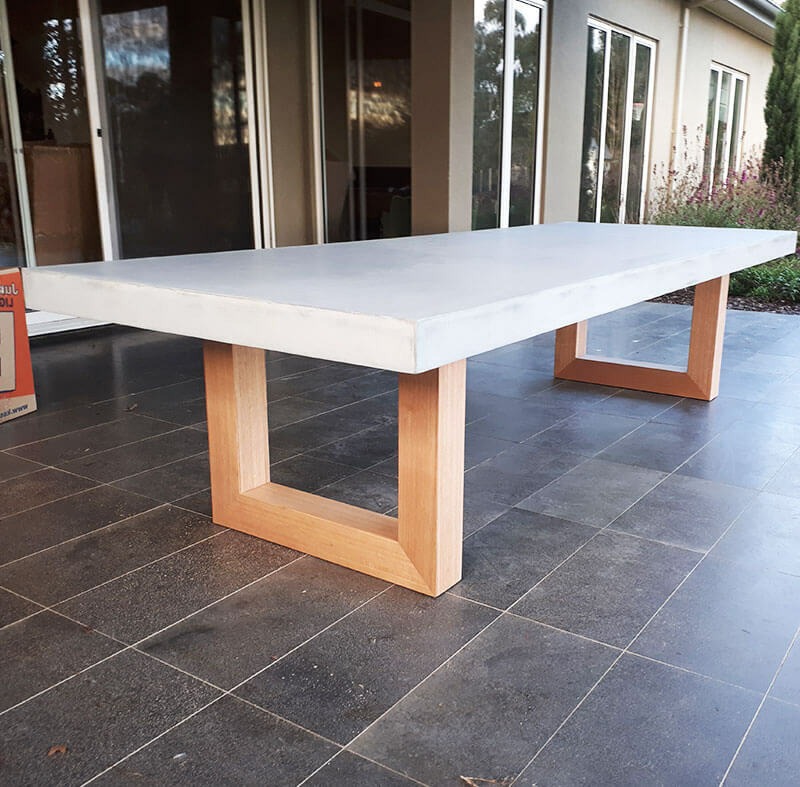 Offering a wide range of products and services for commercial and residential customers, our concrete furniture in Frankston can reinvent your restaurant, retail space, or family home. Commercial shop fitting – Our concrete furniture will bring your commercial space to life! Concrete furniture – Choose modern design with our concrete furniture in Frankston! Solid oak furniture – Warm and elegant yet strong and sturdy, why not go oak? Talk to our consultants about realising your concrete furniture needs. Contact Snap Concrete to get started.